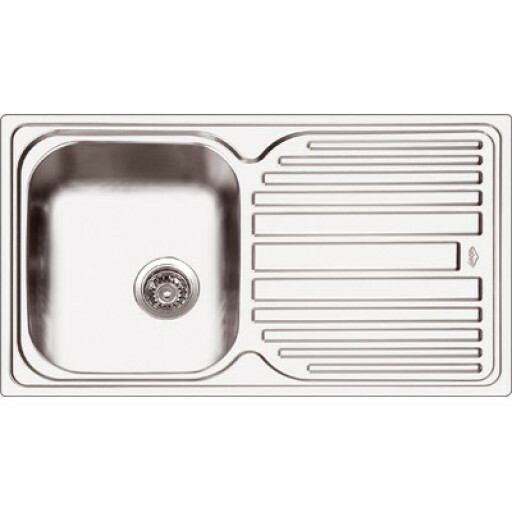 Genuine 18/10 European finish stainless steel sinkware with quality designer strainer wastes, and a range of 5 sizes to choose from. Genuine 18/10 European finish stainless steel sinkware with quality designer strainer wastes, and a range of 5 sizes to choose from, AbeyAs Deluxe sinkware collection provides excellent value. 180mm deep bowls with underside sound insulation will ensure that wash ups are a quieter affair. Installation is easy with AbeyAs clipping system to suit 12 -35mm tops. Deluxe 100 single bowl & single drainer supplied with one tap hole. Available in right or left hand configurations.